If you suffer from dry hair or an itchy scalp, it might be time to consider trying the LOC method. You may have heard about the LOC Method before. 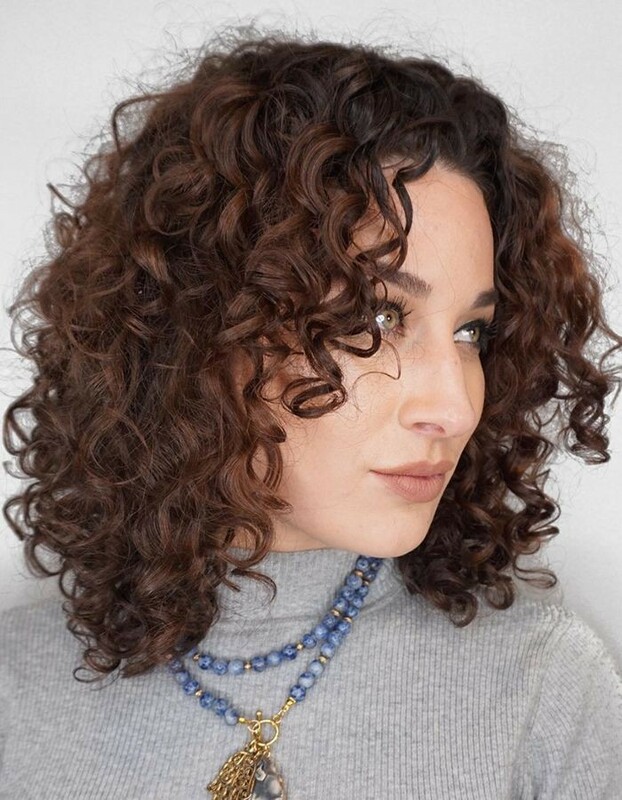 It is a styling technique that provides your curls with the maximum amount of moisture it needs. "LOC" stands for leave-in, oil, and cream. When applying products in this order, they work together to deeply hydrate and seal in the moisture. 1. When looking for a leave-in, the ideal product should be water-based. Water is an obvious ingredient when it comes to hydrating your curls, however, it won't last, and that's where an oil comes into play. Here are some leave-in conditioners to consider using when practicing the LOC Method. Curl Junkie Curl Assurance Smoothing Lotion: This all curl texture friendly leave in is light and works like a charm when layered with other products. This quality makes it a great product for the LOC Method. Not only does this leave-in provide your hair with intense hydration, but it will leave your curls smelling fantastic. SheaMoisture Curl and Style Milk: This moisturizing leave in is filled with hydrating ingredients such as coconut oil, neem oil, and silk protein. All of which work to leave your curls feeling soft, moisturized, and silky. The lightness of this leave-in conditioner is great for the LOC Method in that it won't leave your curls feeling weighed down. CURLS Curls Milkshake: This leave-in is infused with exotic extracts and natural milks to help battle dryness. This product is a great choice for the LOC in not only making sure that your curls get that lasting and deep moisture you need, but also help your curls feel soft, smooth, and bouncy. 2. Choose an oil that's not only going to be appropriate for your texture or porosity, but also one that will penetrate the hair shaft. Since my hair is fine, my oil of choice would be something lighter like coconut, olive oil, or my favorite, Ouidad Mongongo Oil, an all-texture-friendly oil that is light and focuses on nourishing, fighting dryness, and providing moisture to your curls. Its lightness and vitamin-packed ingredients are great for the LOC Method. A thin layer of either oil will do, however, if you have a thicker curl texture, you might try argan or avocado oil instead. 3. The last step is to use a creamy moisturizer to lock in that hydrating goodness. Remember to use one that is appropriate for your curl pattern. A butter-based cream would be too thick for my 2c/3a wavy hair but could be great for another curly. Camille Rose Naturals Almond Jai Twisting Butter is perfect for thicker curl textures and is specialized in providing moisture, softness, and soothes dryness. It's the perfect finishing product following the leave-in and oil steps. While the LOC method is a great way to fight having dry hair especially in the winter, if you, like many others, suffer from a dry itchy scalp, here are some do's and don'ts for treating a dry itchy scalp. Tea tree oil is an antioxidant and has antibacterial properties. However, it is recommended that you dilute the tea tree oil with some water or conditioner before applying to your scalp. Otherwise, it could be too harsh on the skin. DON'T use products with harsh chemicals. One of the reasons why your scalp may be dry and itchy is that your hair products could contain harsh chemicals and cleansing agents that strip your hair of all of its natural oils. These chemicals can be found in regular store-bought shampoos, conditioners, and stylers. If you're suspicious, try using products with natural ingredients and that are gentle on the skin. DO apply hair and scalp masks. Making homemade hair masks can be a great way to relieve not only your scalp but your hair as well. For example, coconut oil and honey are great ingredients for fighting dryness, bacteria, and fungus. You can find a ton of homemade recipes online and you probably already have most of the ingredients in your refrigerator. Doing one of these masks once a week and be very soothing, so make sure to take some time to treat yourself during these harsh winter months. DON'T over wash your hair. Contrary to popular belief, you actually don't need to wash your hair every day. Every other day or even less is just fine and in fact, is recommended by health professionals. When you use a harsh sulfate cleanser like a shampoo every day, that can strip your hair of all its oil and really dry out your scalp. If you must wash your hair daily, try using a cleansing conditioning wash instead. Co-wash is much more gentle on the scalp and hair and yet still gives you that satisfying feeling of being clean. Is the LOC Method a part of your routine?